This elegant blue and white collection by Nancy Gere offers traditional prints in soothing blue and white hues. 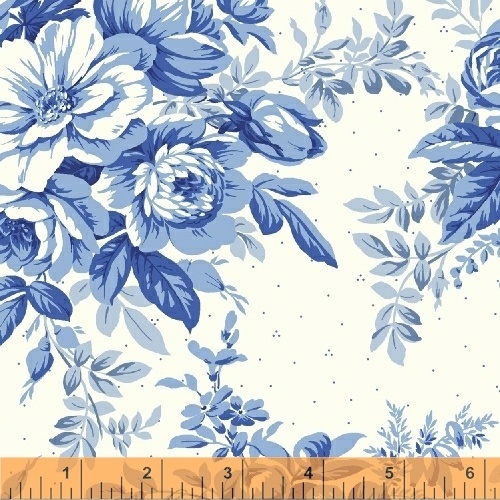 A large floral print supported by smaller coordinates are ideal for all classically inspired quilts. 22 skus. Delivery to stores October 2016.